In many situations you need to format your external hard disk to FAT32. For example, if you want to use external hard drive to expand storage of Xbox 360 or PlayStation, you’ll need to format the external hard drive to FAT32, because this kind of machines recognize FAT partition only. In addition, if you want to share the external disk between Mac and Windows, you also need to format it to FAT32 or exFAT, because FAT is supported by both Mac and Windows. But how to format an external drive to FAT32? Method 1: in Computer or Windows Explorer, right click the partition you want to format, choose "Format" feature from the pop-up menu, specify file system/allocation unit/label, and click "Start". Method 2: press on Windows key and R key to open Run, type diskmgmt.msc to run Disk Management utility, right click the partition you want to format, choose "Format", specify file system/allocation unit/label, and click "Start". But disappointingly, format utility of most Windows operating systems, such as Windows 7, Windows 8/8.1, and Windows 10, does not allow users to format external hard drives larger than 32GB to FAT32. Well, what should users do under this situation? Here is a good method. If there is no partition on your external hard disk, select the unallocated space, choose "Create Partition" function from the left action panel. But if a NTFS exists, select the existing partition and choose "Convert NTFS to FAT" which could keep your data intact. 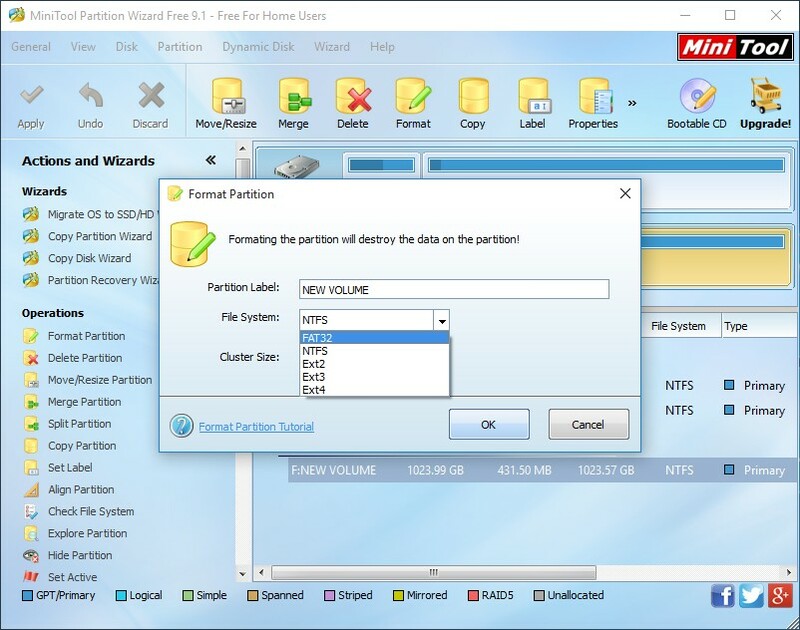 However, if no data is saved in the NTFS partition, you can format the NTFS partition to FAT32 using the "Format Partition" feature. Here, we take formatting partition directly for example. Here, you can specify file system (FAT32) for the selected partition and click "OK". 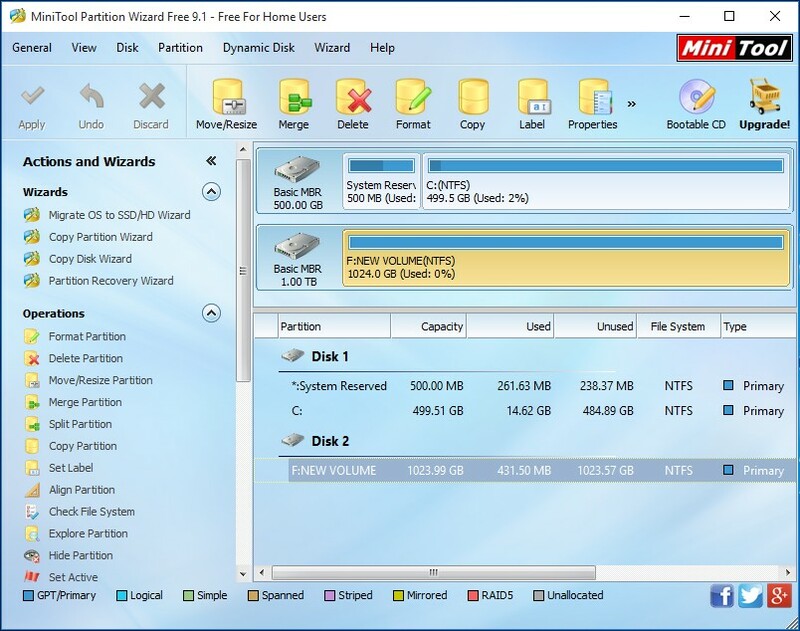 At last, click "Apply" button, and Partition Wizard will format the drive automatically. See! It’s so easy to format an external hard drive to FAT32 no matter how large the drive is. If you have such a need, just try one of our methods out.